Hi! 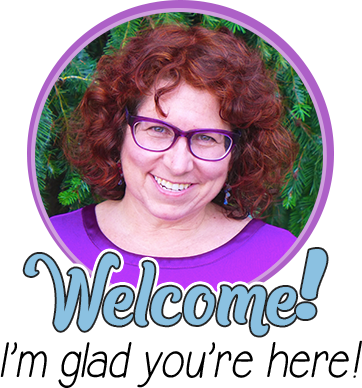 I’m Jo-Ellen from Love Believe Teach with Jo-Ellen Foody, and I’m delighted to be guest blogging for Rachel Lynette. 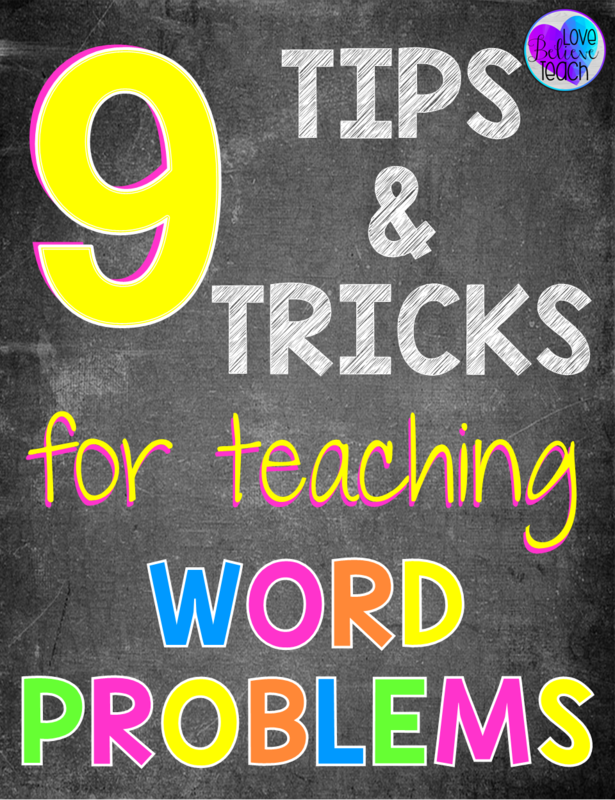 Let’s talk about…word problems. I can start by telling you that I love teaching children how to solve word problems, but I won’t. Word problems are hard. Two-step word problems are even harder, and teaching how to solve them might be the most challenging skill you teach all year. The worst part about it is there is nothing you can do about it. Nope! Nada! 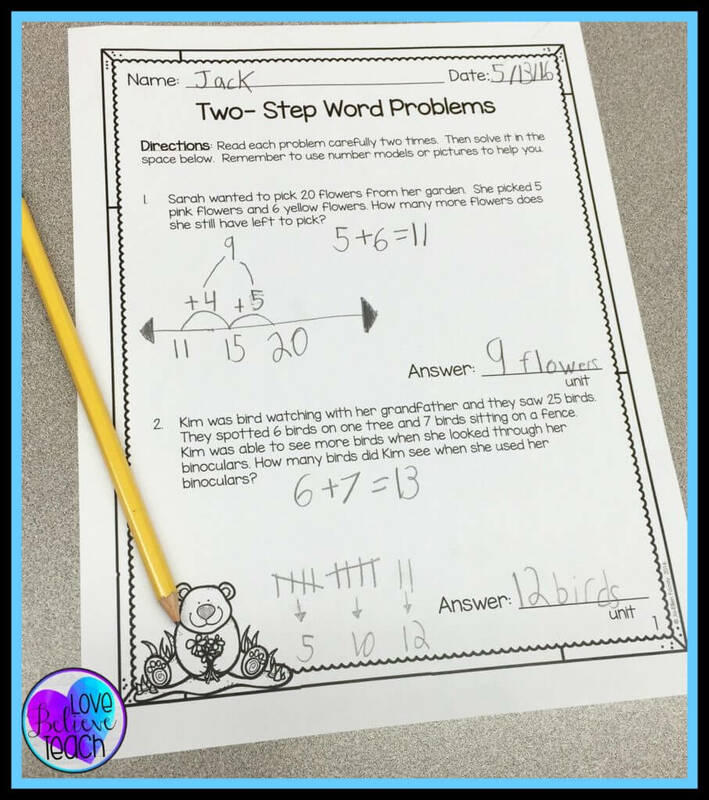 Word problems are in every math program, in every grade, on every standardized math test, and they are an essential skill that students must master in order to survive in our world. And that’s our main goal, right? So, here’s what I’ve found to be the most helpful and the least painful ways for students to become masters at solving tricky word problems. Don’t expect 100% mastery after just one lesson. It’s just not going to happen. I know that this might be hard to understand, but this skill takes TIME and lots of it. Unfortunately, there is no getting around it. Acknowledge that word problems are hard and that your students are going to need lots of practice with them. For some reason saying it out loud makes the whole process a little less scary. Use many, many, many forms of practice. I can’t stress this enough. 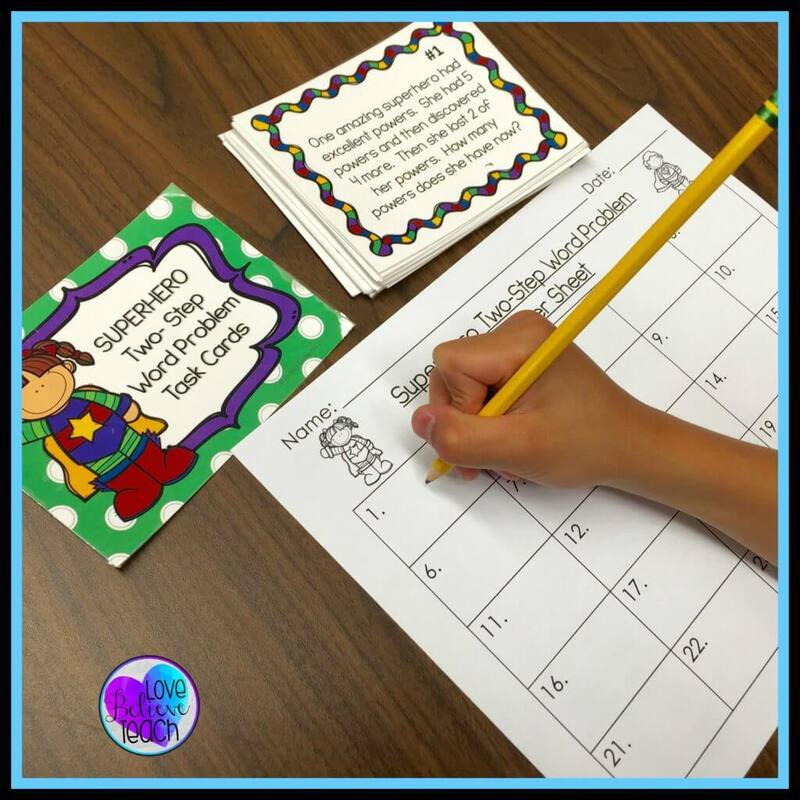 Unless you have a student who possesses the miracle word problem solving superpower, your students are going to need a LOT of practice. 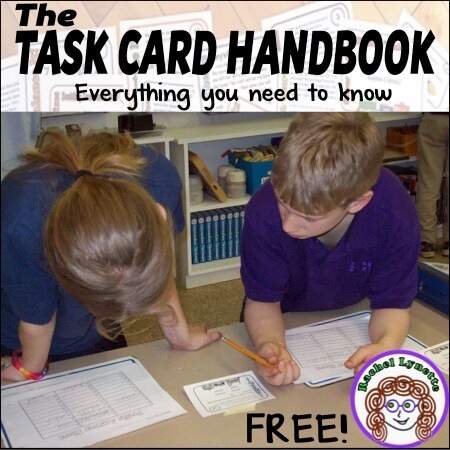 Students need whole class direct instruction, partner time, independent activities for practice, fun “get up and move” Scoot games, task card centers, and homework. Yes, you need to get the parents of your students involved with helping their children master these challenging problems. 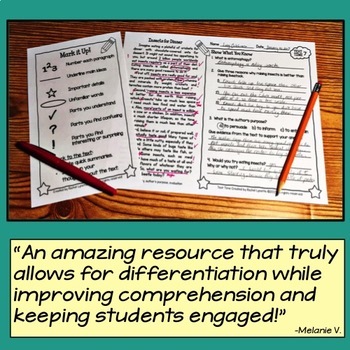 Variety is essential in keeping your students practicing and improving their skills. Teach, reteach, and then after a little more time has passed, reteach it again. Sometimes children need time to absorb all the different tricks you’ve taught. So after your first introduction lesson, wait a little bit and reteach it with a short mini-lesson to refresh their minds. Repeat the mini-lessons as many times as needed. Oh, gasp! I said it. And yes, I meant it. There is no getting around it. From my experience, and yes, I have over 18 years of it, students need lots and lots of practice to master word problems. Sometimes, just sometimes, giving them problem after problem to solve can work. You might not believe me, but to children they actually look at it as a challenge. Trust me! Here’s how I do it: First, I pass out practice sheet #1 with either one or two problems on it. I give students time to finish, and as soon as they are finished, they get it checked. If they get them all correct, I give them page #2 immediately. Then I repeat the process again and again until I feel them get tired. You’ll know when your class has reached their max for the day. They’ll start getting off task, not working as hard, the “fun” is no longer in the air, and that’s when I know it’s time to move on to the next activity. Another way to practice is to make it a game to see how many problems the class can correctly solve in x number of minutes. Start by saying, “We are going to practice as many problems as we can in five minutes. 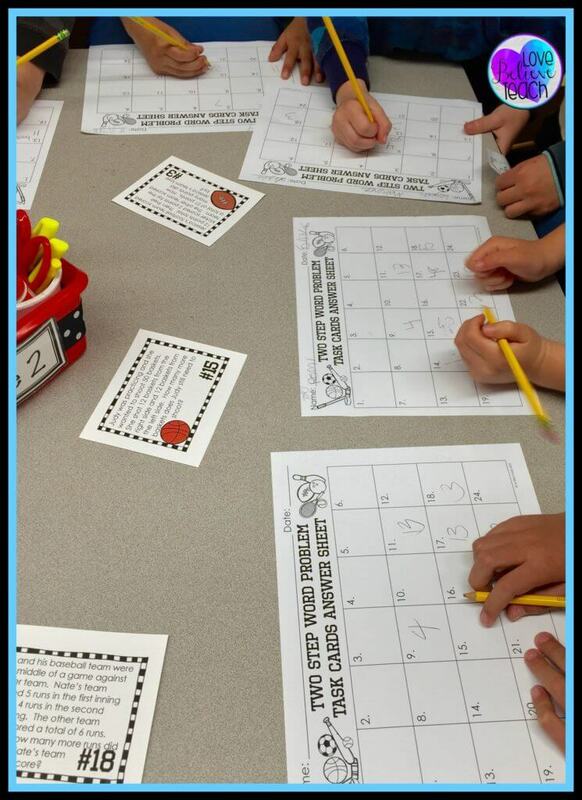 On your mark, get set, GO!” Your class will think they are playing a game, not practicing challenging word problems. You can easily keep track of how many problems the class solved correctly in the set time frame. If you repeat this game multiple times, you should see their total number getting higher and higher as their skills increase. Then watch your class celebrate their accomplishments. They earned it! 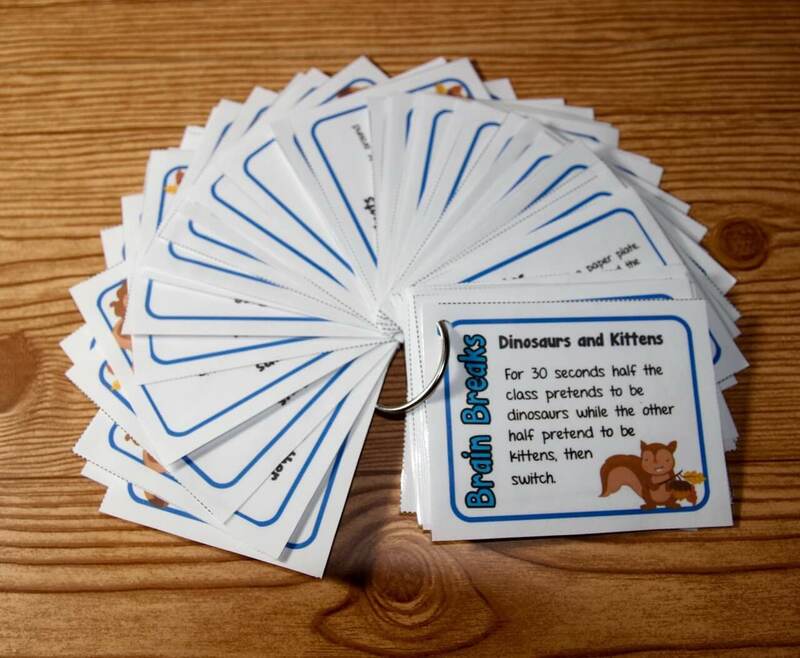 Here’s a Two-Step Word Problem FREEBIE to help get your students started on practicing and practicing. I find that it’s most effective to start with one problem on a page and have students work their way up to three problems on a page. Yes, some kids need them. They need a system to follow. I have found that giving students one simple and straightforward strategy is the best way to go about helping these students. It’s just less confusing for them. Be sure to make the strategy that you choose a good one! Yes, we’re teachers, and we’re supposed to teach, but sometimes kids just don’t connect to what we’re saying or how we’re explaining something. That doesn’t make us bad teachers; consider it the mystery of the young mind. All you need to do is pair up students who are struggling with someone who is breezing through the problems. Before you know it, everyone will be working through these word problems with ease! 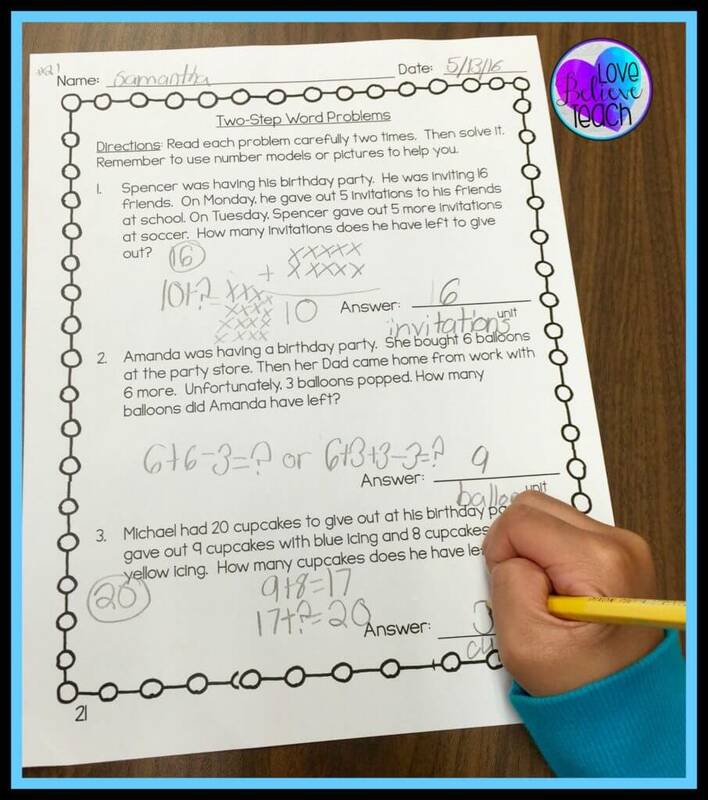 Have students write their own word problems and then have a friend solve it. 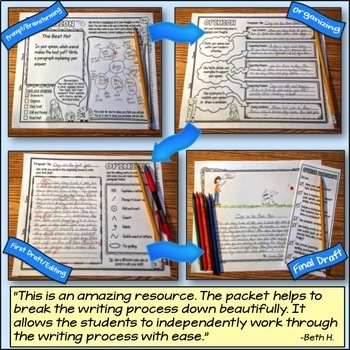 Once your students get the hang of word problems, you’ll see how their understanding of them will grow. 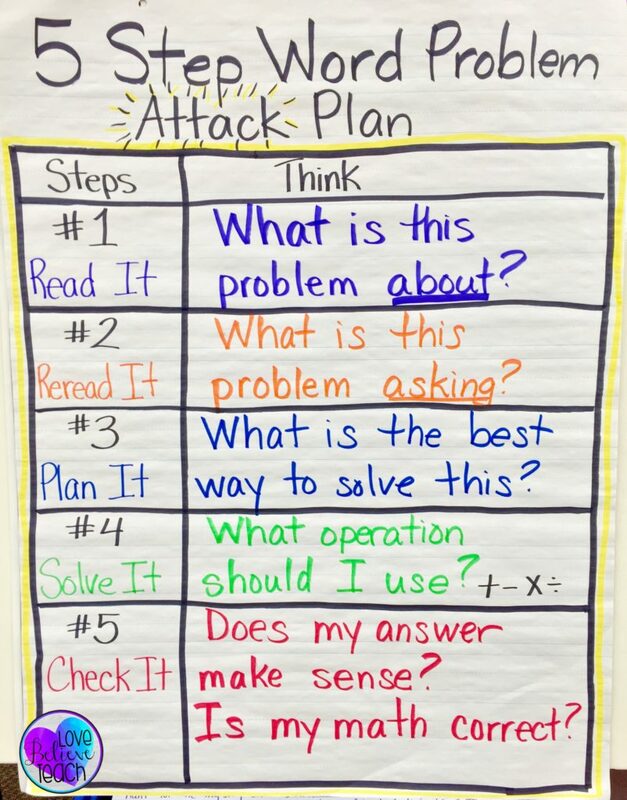 Talk about how there are many different ways to solve a word problem and that it is 100% okay to solve a problem with a different strategy than someone else. Embrace this idea and tell your students that our minds are all unique and solving these problems just has to make sense to your own mind. So, that’s it. 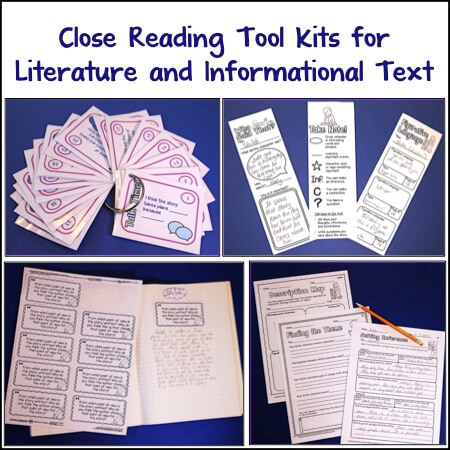 I truly hope that you’re able to find a few ideas that you will be able to implement immediately with your own class. Word problems are challenging for most students, but they aren’t going away. So, let’s just make them something that we all tackle together. 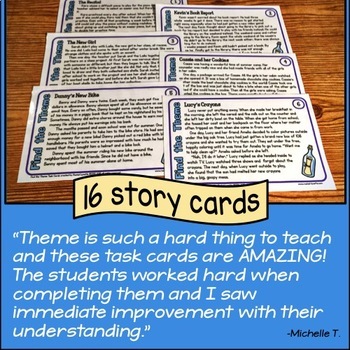 If you have any tips and tricks that have worked for your students, I would love to hear about them in the comments below. Jo-Ellen Foody has been teaching for over 18 years and has taught grades K-3. She’s married and has two young boys. 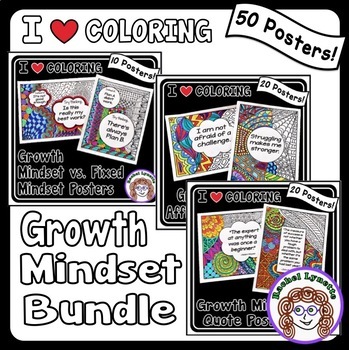 Jo-Ellen is passionate about motivating students to reach beyond what they thought was possible. 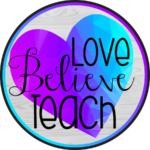 Her Teachers Pay Teachers store is Love Believe Teach with Jo-Ellen Foody, and it focuses on the K-3 classroom. You can find her on Facebook, Instagram, Pinterest, Twitter, or email her. A lot of these tips are also useful for learning how to read/play music! Thanks! Excellent content! 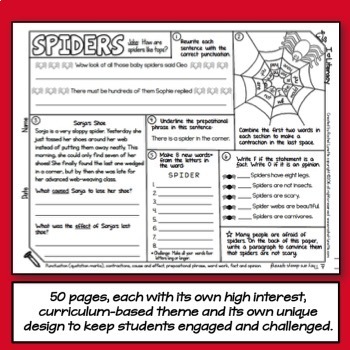 Confession: I love teaching strategies related to solving word problems. 🙂 I was one of those kids who needed the reteaching. I think that’s why I love teaching math so much; I want to help others who need step-by-step instruction. You did a great job with the nine tips! #9 is my favorite one! Thank you for sharing the post! 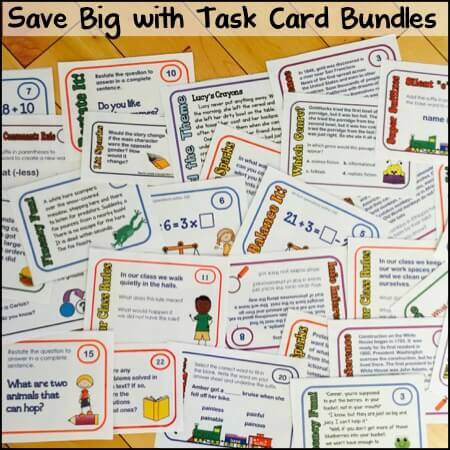 I’m not a teacher but I have many little cousins so I often help them learn at home. These tips are very helpful for me. That’s great! I love that you’re able to help your cousins learn! 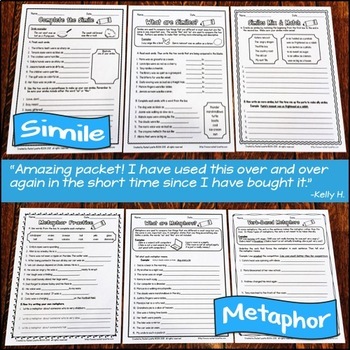 I am a homeschooling mom, with a ninth grader who is struggling with algebraic word problems. ( Two trains leaving at the same time, etc).